Hi everyone, in this beta you’ll see the full tutorial and in-game help system implemented, and we’d really like to know how it feels to you. The help is separated into two parts, one being the context-sensitive animations that will display when you do something for the first time (like get close to a door, for example, or get a new journal page), and the other a short tutorial you can get from the NPC just outside the gates of Highsteppe. Even though you likely know everything that will be taught by these, if you can go through them when you get a chance and view it from a new player’s perspective that will be very helpful. Thanks for the feedback! I am torn about the tutorial, the context-sensitive tipps almost always tell the plain obvious and perhaps it’s just me, but I tried to get rid of them asap. Other vital things which the original tutorial covered, like, how to play your class, draw your sword (or whatever), put things into your bagpack etc. are skipped now. Is that all, a quest to harvest 2 truffles, to kill 3 mobs, to find the player house and to craft an errrm ruined potion? It felt very short, but perhaps that’s the plan, to get people into the game they want to play asap. The Journal seems to add some of the information formerly on the billboards right outside the tutorial area; a hint to it would be good. Journal! It needs more love. I keep finding “new pages” in the HS, what are these, recipes? Kept browsing back and forth, found nothing new. Would be good if the note would state what exactly is new. Are the empty pages going to be filled? I got no map of HS and all else is pretty empty as well. I agree with everything that @Metris_Marshmallow said. I think the tutorial was better in the old Orbus. New players may not even know how to open a door. I really do think it best to isolate new first time players and go through the basics. It can get confusing with everyone spawning in one place. I still think viewing the missions in the book is a better way to see our missions than looking though the “missions” tab. I know you want to keep the information simple and as little as possible so that we can figure things out but the information is already out online and I think it would be nicer of instead of having to “google” it, all the information is in the game at our finger tips and ready to use. I know y’all have done a lot of work on the tutorial, and this is just my opinion, but I am not a fan of the cartoon-ish pop-ups. They are distracting and I quickly want to hit the red “x” as soon as it appears. Is there a way to completely disable them Or reworked into the old orbus style tutorial where you spawn into an instance where those pop-up as you go through the introductions? So what we found in practice was that 90% of people did not want to stick around the tutorial area and immediately left it at the first opportunity. The new system is essentially trying to be on-demand tutorials. The opening a door thing is actually a great example, the first time you walk up to any door in-game a tutorial pops up to tell you how to open a door. Another pops up the first time you see a loot bag showing you how to loot it, etc. I really think in the long run that has a better chance of informing players what to do than trying to tell them all at once in 30 minutes of tutorial and overwhelming them with info they will quickly forget. We are going to add an option so you can turn off the tutorials if you don’t want them, though, yes. And I am a little concerned maybe we went too far the other direction and there’s not enough hand-holding for new players in terms of “what do I do now?” We may want to give more quests to Randel rather than just saying “okay go do missions now” for example. As a suggestion I would personally move first time players to spawn in the player house where you have practice dummies and can lead them through “basics” without the interference of others. Randel could be moved to the home and give quests / missions to help "learn what and how to navigate. I have also heard that many players are confused about how to use some of the new classes. I am sure new players feel the same with “old” classes. Giving missions to learn each class, from the home, could boost number of missions, increase player knowledge incrementally before entering battles, makes the home more central, and overall in my opinion makes sense as a starting place. Players can choose to skip the introductory missions at the cost of gaining XP. These missions could be as simple as casting lvl 1 spells to hitting the dummies with warrior combos. Personally I think if you incentivize “learning” missions by giving xp then you will have far more people stick around to learn what to do. Because each class is different and there are now 8 different possibilities then a walk though (hand holding) of each, when ready, is necessary. Learning though doing is great but to much fumbling around trying to figure things out can be, in my opinion, very detrimental to people staying in the game and having fun. I know a part of the fun is figuring things out for ourselves but currently there’s a lot to figure out and an on-demand tutorial for each part of the game I think would be very welcome to new players: the 8 classes, artificing, tile sets, menu, navigation, potions, dragons, partying up, dungeons / battleground, PvP, messaging / looking for groups / que, auctions, fishing, gathering resources, not to mention monster types and over all game play. VR is new to many and holding hands to encourage people to join is a necessity. Beat Saber is so popular because there is such a small learning curve and it is fun. OrbusVR does not have a small learning curve but is VERY fun once you know how things work and also because of something Beat Saber will never have and that is an active interactive VR World. Also can we get signs for the chests and the doors in the house telling us what they are or what room we are entering? 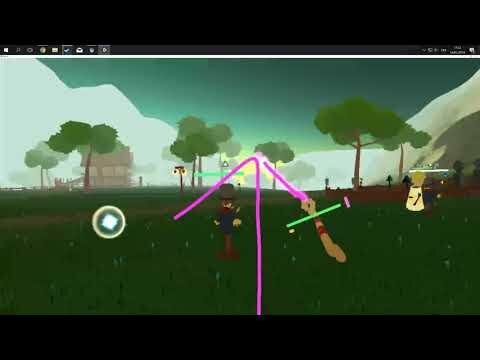 r/orbusvr - Is Reborn going to feature any spellcasting improvements? while a system like we are talking about is probably not going to happen anytime soon, some of the technical aspects of how the casting works in the first place that we talk about in the post should be covered in some sort of tutorial. 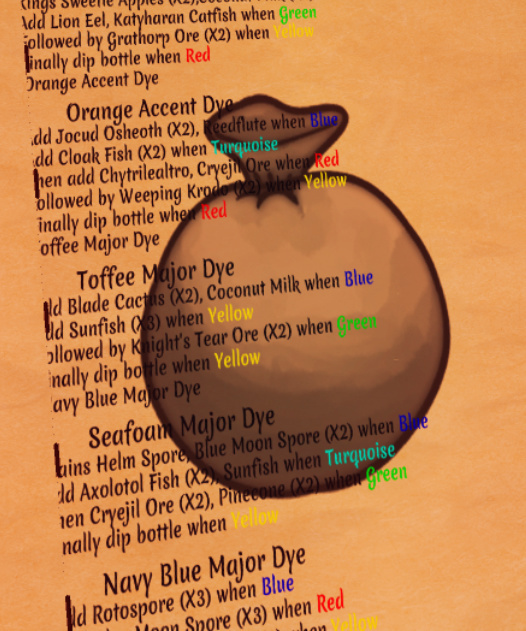 I miss a (static) table on the wall with the color-change orders, this would be very helpful for new players, I used it in the old house for quite some time until I knew them by heart. The red truffle needed for the short tutorial can be camped by a pet with gatherer, Making it very hard to grab before the dragon. Thanks for the heads up, we’ll fix that. The paladin tutorial shows two pips for ground slam instead of 3. I also noticed that several tutorials were going off at the same time on my level 20. That might just be because I have a mount at the same time that I’m starting the game though. When I got a runemage wand from the NPC, I didn’t see any tutorial at all. Is that intentional? I get that the old runemage quest wasn’t that great, but it was still something. It told you how to copy runes, and it put you smack dab in a room with the runes. I have no idea how a new runemage is suppposed to figure out what to do. I want to second that it’s not obvious at all that lore quests are a thing that exists. If there’s a lore quest, the game should probably trigger that by default when you talk to an NPC. Alternatively, maybe you could show the NPC’s dialogue and the mission interface at the same time? If you have a lore quest (not just if you’ve leveled, as it seems to indicate?) pending with the questgiver - maybe make this the star icon? If you’ve got new quests to pick up - maybe make this the ‘!’ icon? 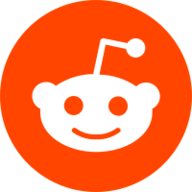 Position; this seems to currently be the star icon, but I think it would be better served as the empty icon that currently indicates maybe lore quests. I found it extremely annoying to have to circle around all the vendors every time I leveled just to see who has what (and even more annoying that I also had to hit the dialogue button for the lore quests only to find that they didn’t have any for me - that may just be because I’m stuck on current ones with no real idea where I’m supposed to be going, which is another issue with the lore quests). The ‘how to use a teleport stone’ sign is backwards (facing away from the entrance of the fellowship circle). I found that sometimes the compass bugged out and did not show locations that were too far away (they still show up as icons on the map, but if you rotate to view the name, it doesn’t show up). I saw this as I was moving from Highsteppe to the northwest to get to the rainforest area (it showed the rainforest as a pip on the compass, but didn’t show the name) and then once I got into the rainforest it did the same back to Highsteppe. I don’t know if the new player help is supposed to be on a per-account basis or per-person, but I did not have any icons display as I was progressing on my paladin. I did have several display on my level 20 carryover. It’s actually per-computer device currently. At any rate, I found them extremely intrusive. They tend to take up the vast majority of eyesight above chest level. I think having them ‘display’ slightly further from you, and maybe lower down or to the side of view (like 45 degrees from facing, centered roughly pectoral level) might be better. Just my two-cents. The pop up to indicate opening the door into Highsteppe looks like punching the door (or punching/just touching the door knob, I laughed) or kinda knocking instead of actually open. I think something to indicate or say that your hand will get outlined in yellow, then grip and pull will be necessary. Similarly, the runemage popup thing to show me how to cast fire 1, while it shows the trigger pull to draw the spell, does not give any indication about what button to press afterward or to shoot. I was also thrown by the sign just inside Highsteppe indicating Guild City as if it were further inside. That makes it look like Guild City, a place to create Guilds, is inside Highsteppe somewhere. I know the ruins of Guild City will become a type of dungeon, but as a new person I would certainly not know that. Through time should we rename Guild City? Refer to it as just the ruins? Guilded City Ruins? Idk, just not “Guild City” itself since only original Orbus players would get that, but those that don’t keep up on the forum and blogs (quite a bit of people) may think Guild City just got relocated in here somewhere or is just beyond Highsteppe out the other gate. I like that stuff appears in the journal again, though holding the compass is still wonky. I was wondering if holding the compass could be like how it is with original Orbus? It’s always been weird in the beta. Also, when I first made my new character (Airís) I did not notice or see the discipline part at all. I’m not even sure it was there, because I went into each tab and adjusted stuff (although I ended up looking just the same as my current, not because of a bug that had been priored reported, I just decided to be the same in that regard), so when I logged in and was a warrior with a warrior horn, I thought, huh, guess we all start out as a warrior again. A few minutes later I remembered we could choose at that character creation, so I deleted Airís and re-made her. The second time, yep, there’s the discipline part. I could have sworn it wasn’t there the first time, but I don’t have pics or video proof. While picking class, I think seeing the first weapon appear somewhere, or maybe if a set of gear appeared on the character to have an idea of what it may look like on the model would be a good idea. I super double checked it said runemage on the thing before creating my character and logging in. I also don’t think the bird skull wand is the best first wand since the skull can obscure view of lines, and new mages will likely need to really be able to see as clearly as a lot of the later ones allow. Edit: the sign near the Backer Rewards NPC points Exit going further into Highsteppe instead of the actual exit door within sight. I circled the sign to see if it indicated both, but it doesn’t. It points left back into the city instead of right at the door, so people may not assume that door is one of the exits. Edit 2: inside the playerhouse on the wall animated tutorials, the dragon breeding one indicates moving the dragons into the right two slots (leaving furthest left empty) instead of left two slots like the current game. Just wanted to mention in case that indeed got flipped or needs to be updated. I think it would held for the blue boxes to be labeled “player inventory” over the right side and “chest inventory” over the left, or something to make it a bit more clear that means moving from point A inventory to point B inventory for it to appear on the appropriate table. Why does the potion making person in the example look so distressed? That poor animation making that potion forever. It’s a good start for a tutorial but isn’t as clear as it could be. What if an animation very clearly demonstated exactly how to perfectly create the simplest base potion?